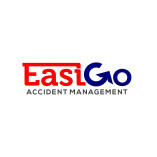 EasiGo Accident Management helps anyone who has had an accident that was not their fault. They supply courtesy cars, arrange repairs, and deal with any injury claims. EasiGo claim directly from the other insurer, so clients do not pay any policy excess. Registered with the Claims Management Regulator since 2009. A van ran into my car, parked up, at home- obviously not my fault- you would think! Insurers wanted me to pay £400 excess; a neighbour suggested calling Easigo. All sorted, car repairs & a courtesy car dropped off, so I wouldnt be stuck.- No cost, no fuss- thanks ! My minibus was hit, when parked. Own insurer wouldnt supply a plated replacement, so I called these guys. Same day service, no cost, and the repairs taken care of- great service- thanks! My car was hit, when parked outside my son's school. The insurer wanted to charge me excess; a neighbour recommended EasiGo- sorted proper repairs, with the main agent, and lent me a car to use whilst mine was in the garage. First class service- no cost! Supplied a plated PCO minbus next morning; kept me informed, bent over backwards to help- great team. Call them if you need help in London. HGV hit my parked car. Own insuance wanted to repair my lease car themselves. Its a BMW, got to be fixed by bmw- not some shady outfit using 2nd hand parts. Uncle said to call these-sorted; proper repairs, BMW hire car supplied same day, no cost, no fuss- thanks guys! Accident not my fault; own insurance wanted me to pay massive excess, rest of years premiums. Total joke! My uncle said to call Easygo- no hassle, free car hire, proper dealer repairs- no excess to pay -no cost at all. Total no-brainer; thanks a bunch! We have used them for over 8 years; whenever one of our drivers has a non fault accident, we call them. Replacement cars delivered same or next day, open late, and always happy to help. Saved us a lot of time & money over the years! Although the other car hit me in the rear, my insurance said my policy was void- seems I d missed some payments. Easig sorted repairs & injury, as well as my lost earnings. Would have been great if they could also supply a car to use, but just glad they sorted the rest. Far better service than my insurer- & no cost to me. No excess, no hanging on the phone. First class service. Highly recommendable. We have used them for over 5 years now- whenever we need a replacement cab or minibus, after an accident. Fast, friendly & saves us money! Happy to recommend to any private hire co. Happy to recommend to anyone who had an accident that was not their fault. Much faster, friendlier & cheaper than using my own insurer- or being messed about by other insurer! Been using them for 7 yrs now; always quck at providing couresy cars for our clients. Fast & friendly service, & happy to go out of their way to look after our customers. Great outfit, happy to recommend to anyone in the trade.